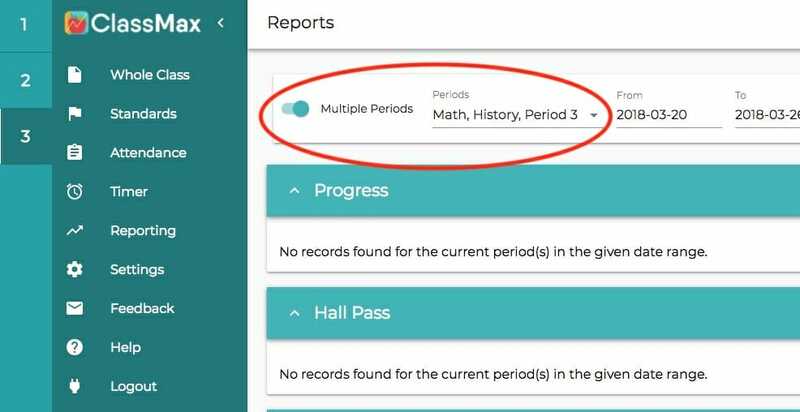 The primary functions of ClassMax allow teachers to track multiple types of information about student data. 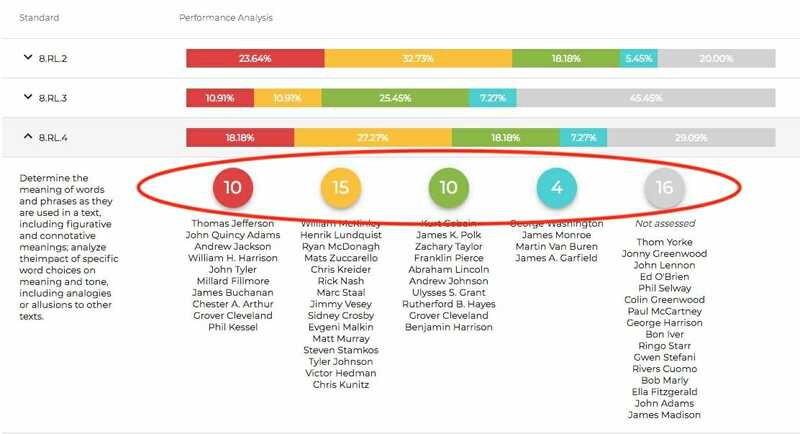 But in the two years that I have been using ClassMax in my own classroom, I have learned how to use ClassMax to track my own standards-based instruction to assure that I am covering all my standards effectively. This is especially important at this point in the school year, as we begin looking towards standardized testing. I want to be sure that I have taught each specifically tested standard enough and that I haven’t overlooked any standards during the course of my school year. To do this, head over to the Reporting section of ClassMax. From here, I run a report for all my classes by choosing “Multiple Periods,” and then selecting all my class periods. I set the window of my report either to the entire previous quarter or for the entire school year. I tend to prefer the school year because I teach language arts and my standards often repeat throughout the quarter. If your standards are more sequential (for example, in a math class), you may choose to only select a specific period of time. From here, I start to see the progress of my instruction based on my student data. The first thing I look for is that I have taught all the tested standards. I double check to make sure that every standard I was supposed to have covered is listed in my report. If it is not listed, that means that I never collected data on that particular standard, which indicates I may not have taught it or maybe didn’t teach it enough. I add those standards to my reteaching list. The next thing I do in my report is to begin drilling down by standard. If I notice a standard has a lot of gray on the scale, I add this to my reteaching list. Clearly, I didn’t teach it enough to collect a decent amount of data and so I will probably need to reteach that standard a bit more before testing. Finally, I start clicking on individual standards to see the number of times I have assessed on it. When you click the standard and bar graph, it will drop down to show you which students are performing where. The number at the top of each student list is the number of times this standard was assessed. If the number is low across all learning levels on a particular standard, I know that I may not have assessed it enough, which also probably indicates that I didn’t teach it enough. These standards get added to my reteaching list, too. 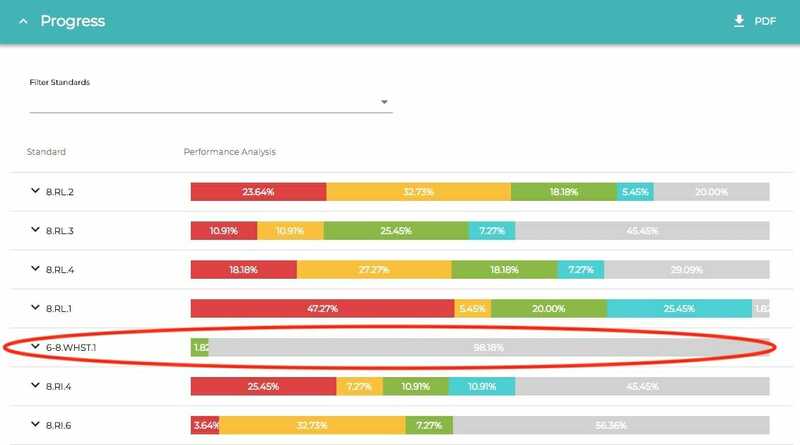 While ClassMax is an excellent tool for collecting student data, that student data can tell you a lot about your own teaching. By analyzing HOW I collect my data, I can better examine how well I taught standards throughout my school year. This helps me begin to focus my reteaching as we prepare for testing. This entry was posted in ClassMax, General Information and tagged ClassMax, teachers, teaching, tracking student progress.